Choosing which approach is best is a critical step for cutting back groundwater use, which many basins will have to do, and for creating water trading systems, which many basins are considering to better manage increasingly limited groundwater. Before you create a market, you have to define who has how much – in this case, groundwater pumping rights – in order to trade. Any allocation method will require substantial stakeholder engagement, in part to explain why the framework is being used and to explain groundwater rights more generally. Water agencies are currently considering a few different allocation approaches, including seemingly simple frameworks that divvy up water proportionally based on land ownership or historic water use. However, if there is opposition, plans based on these allocations could wind up in court. 1. Pro rata allocation per overlying acre. This approach divides available groundwater proportional to property size. One problem is that it can be viewed as creating inequities for those who have invested heavily to exercise their groundwater rights. 2. Pro rata allocation per irrigated overlying acre. This approach allocates each irrigated acre a specific quantity of groundwater. It’s relatively simple to calculate, but one downside is that it does not consider unexercised pumping rights. 3. Allocation based on fraction of historic pumping. This approach allocates water based on historic groundwater use. This can reduce conflict among existing groundwater pumpers. But one potential major challenge is it requires data about individuals’ historic use that may not exist. 4. Comprehensive allocation method (recommended method). This approach allocates groundwater based on California groundwater law to the extent practical and preserves the relative priority of water users. Consequently, we believe this method is more likely to survive judicial scrutiny if tested in court. However, it may be more complicated and time-consuming to apply and would require substantial stakeholder engagement. How would the allocation method work? For many agencies, SGMA will require some hard choices about cutting water use. 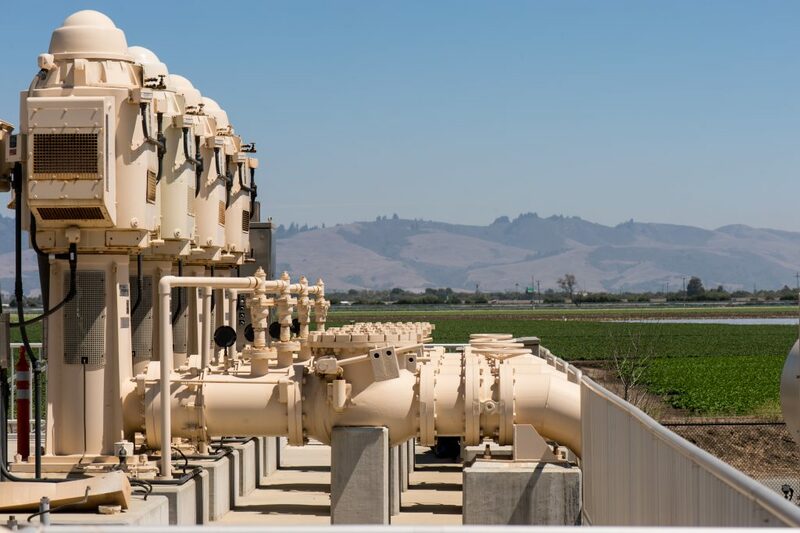 These choices are further complicated by ambiguity in California’s groundwater law and imperfect information about water consumption. To help navigate these challenges, our paper provides a hypothetical decision tree to show agencies how applying a comprehensive allocation method would work, as well as a short summary on the three groundwater rights categories in California (overlying, appropriative, and prescriptive). How will the allocation method hold up in court? Lengthy and costly court challenges have riddled the California groundwater landscape for decades. Hoping to prevent legal challenges from delaying SGMA implementation, state lawmakers passed legislation to shorten adjudication timelines for SGMA cases and enable basins to continue implementing their sustainability plans during litigation. If an agency’s groundwater sustainability plan gets challenged in court, the judge may be more likely to issue a preliminary injunction that allows the agency to continue implementing the plan if it uses a comprehensive allocation method. The final court judgement also may be more likely to be similar to the plan adopted by the agency if that plan closely follows groundwater law. This could save valuable time and resources in a process that requires plans to be complete by 2020 or 2022, depending on the status of the basin. Groundwater sustainability agencies that invest in this framework at the beginning of the process could be more likely to successfully implement their plans and ultimately create a more resilient water system. And that, after all, is the goal of SGMA and what California ultimately needs to ensure a stable, sustainable future for people, the economy and the environment. This entry was posted in ecosystems, western water and tagged california, groundwater, groundwater rights, New Current Water and Land, pumping groundwater, SGMA, sustainable groundwater management act, water rights. Bookmark the permalink. Both comments and trackbacks are currently closed. A big complication is the surface waters are linked to groundwater, and the surface waters have been allocated in ways harmful to public trust uses like fisheries and boating. How do you regulate groundwater responsibly without correcting the flaws in surface water right allocations? Please describe the difference between adjudication (SAFE YIELD) and option # 4? Why would it not be faster and cheaper to go directly to ADJUDICATION? Thank you for your question. Court rulings demonstrate that every adjudication is different and adjudication rulings are often the result of consent decrees and stipulated judgements. Most adjudications have proven to be extremely expensive and time consuming. Further, the adjudication approach does not address the full spectrum of requirements for sustainable groundwater management as outlined in the Sustainable Groundwater Management Act (SGMA). As restructured in 2015, the adjudication process was “streamlined” (although it remains to be seen by how much) and the process clarified as to how adjudications relate to SGMA. To the extent GSAs devise allocation mechanisms consistent with water law principles from the outset, they have the opportunity to lead and expedite the process in an efficient manner. This path provides greater assurance GSA allocation mechanisms will stand up in court.